This column by Robert Loerzel originally appeared in Pioneer Press on August 11, 2005. Bill Murray is turning out to the best actor since, well, Ivan Mosjoukine. Ivan who? I’m referring the Russian actor who was the subject of the famous “Kuleshov Effect” experiment. In the 1920s, Soviet filmmaker Lev Kuleshov conducted an experiment that showed the power of film editing. He juxtaposed the same film of Mosjoukine with various other shots: a bowl of soup, say. or a child’s coffin. When audiences saw this footage, they said the actor was displaying a wide range of emotions. The soup made him hungry, the coffin made him sad. But it was the same footage of Mosjoukine each time. He wasn’t reacting at all to the coffin or the soup. 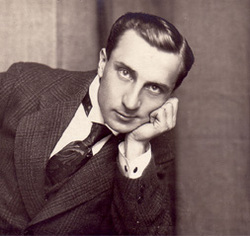 The editing placed the shot of Mosjoukine in a context that caused the audience members to read their own emotions in his expression. And that’s the puzzle of minimalist film acting … and the reason I’m comparing Bill Murray with Ivan Mosjoukine. In his last few movies — including “Broken Flowers,” a brilliantly low-key Jim Jarmusch film that opened last week — Murray has distilled his acting style down to a few subtle gestures. Barely cracking a smile, Murray the monk cautiously dispenses his once-famous wisecracks now, issuing them like haiku at a few key junctures of each film. Personally, I like Murray’s recent minimalism, but I’ve heard others ask what’s so great about it. Whenever an actor does this sort of thing — just sitting there on the screen, not obviously doing or saying anything — some viewers will question whether it’s really acting. The lack of typica1 action forces you to focus on the little things, and that’s when Murray (a Wilmette native, by the way) proves himself such a master. There’s something so soulful about his face, and the little expressions that flicker across it. I like to think of the older Bill Murray as a character who went through all the shenanigans of the characters he played when he was younger, in movies like “Stripes.” And now he’s arrived at a quieter, more troubled time in his life. But then I have my doubts. Maybe I’m falling into the same trap as those Soviet audiences watching Kuleshov’s movie of Mosjoukine looking sadly at the child’s coffin. Maybe there isn’t any there there, as they say. I saw “Broken Flowers” just after watching the documentary “March of the Penguins” — which turned out to be a surprisingly similar experience. Like Murray and Mosjoukine, these penguins are incredible actors, showing passion, sorrow and determination … or so it seems when we impose our own emotions on the film we see of these birds waddling around Antarctica. The Kuleshov Effect shows that a good acting performance is about more than the acting itself. The acting has to be artfully placed into a certain context, and when it is, our reaction becomes part of the act.